Analysis by Singapore company registration specialist Rikvin shows that Singapore has been bolstering its network of tax treaties as the year progresses. Data from IRAS shows that between January and April 2013, Singapore has updated its Avoidance of Double Taxation Agreements (DTA) with Austria, Vietnam and Kazakhstan to include the Exchange of Information (EOI) protocol. Singapore also signed DTAs which include EOI protocols with Guernsey and Belarus during this period. These DTAs will come into effect after ratification by both parties. In May 2013, following its announcement that it will significantly strengthen its framework for international tax cooperation, Singapore’s DTA network was enhanced further. In the same month, the DTAs between Singapore and Isle of Man as well as Jersey entered into force. In June, the city-state updated its DTA with the Czech Republic and signed two more DTAs with Ecuador and Liechtenstein. Later in the month, its DTAs with Malta and South Korea, which have been updated with EOI protocols, came into effect. This month, Singapore signed a DTA with Barbados. In addition, the updated Singapore-Turkey DTA will enter into force on 7 August 2013. Both agreements include the internationally agreed Standard for EOI for tax purposes. These steps not only ensure that Singapore’s entrepreneurs will have a greater network of markets to grow their business; they will also ensure that legitimate funds will be safeguarded in Singapore. This then will give entrepreneurs and bona fide investors the confidence to register a Singapore company and sink deeper roots in the city. 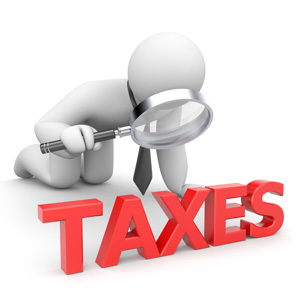 Singapore has to date 71 Comprehensive DTAs which include EOI Arrangements for tax purposes. It also has 12 DTAs under ratification and 7 Limited Treaties. Analysis by Rikvin shows that Singapore’s efforts to update DTA network is also an attempt to further strengthen its EOI framework, which it has endorsed since 2009. This in turn will ensure that Singapore will maintain its name as a reputable wealth management center. The laundering of proceeds from serious tax offences has been criminalized in Singapore with effect of 1 July 2013.